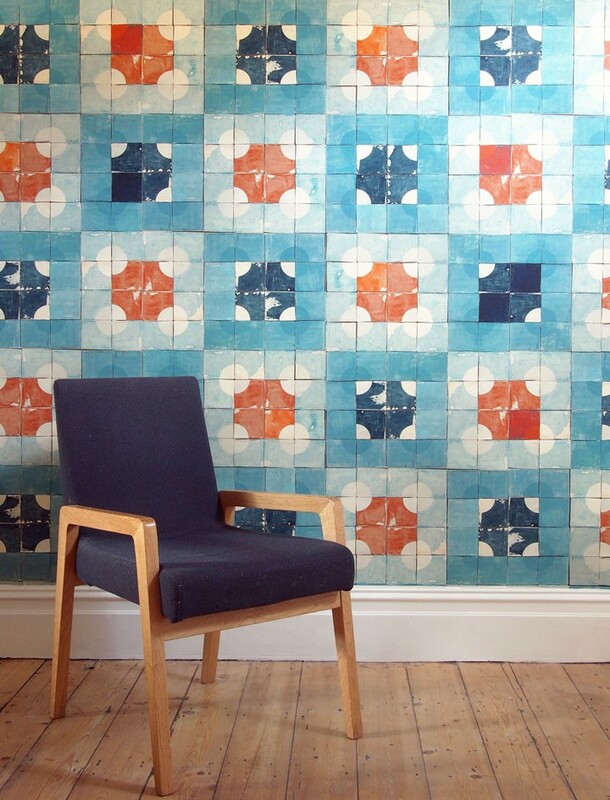 Quarter Circle tile wallpaper is a strong, striking design that takes our handmade, screen-printed Quarter Circle tiles as its starting point. 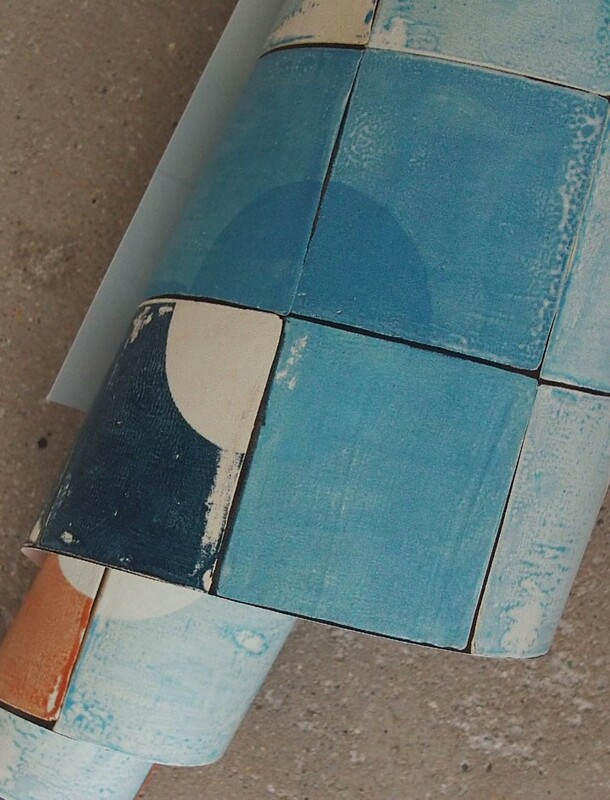 The simple but sharp outline of a quarter of a circle, only subtly visible in some of the tiles, forms a contrast to the loosely painted background. Together, the quarters enhance each other and emerge from the square tiles, forming their own rhythmic pattern. 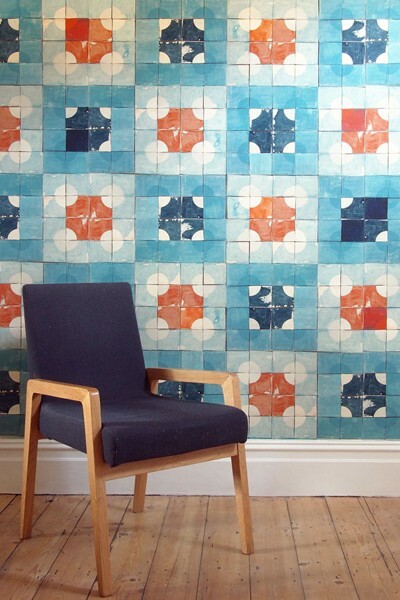 Quarter Circle tile wallpaper has a flag-like simplicity, a banner for a combination of disorder and unity. Well-suited to a feature wall in a larger space such as a cafe, bar or restaurant. Match: Strips can be matched up to any 34cm drop. Please note that the repeat needs to go upside down every other strip.